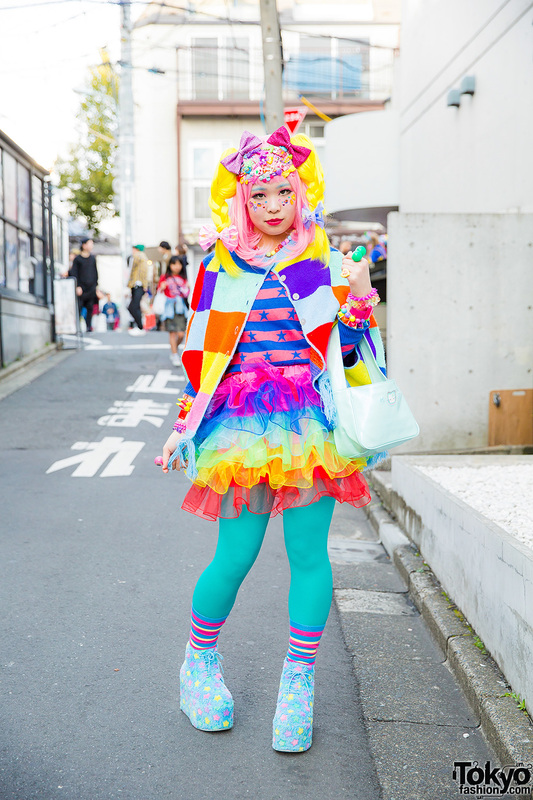 Harajuku decora girl with pink & yellow hair, knit cape, rainbow ruffled skirt, striped top, Hello Kitty bag & star print shoes. Harajuku girl with faux fur hat & legwarmers, plush sweatshirt, shorts, plastic jewelry, waist bag & backpack, and pastel stars shoes. Harajuku decora girl in colorblock jacket, rainbow skirt, mismatched leggings, The Grawzulz backpack, neon sneakers & plastic accessories. Harajuku girl with pink hair and cap wearing a white shirt and lemon print pants, a clown print backpack, plastic accessories and black canvas sneakers. 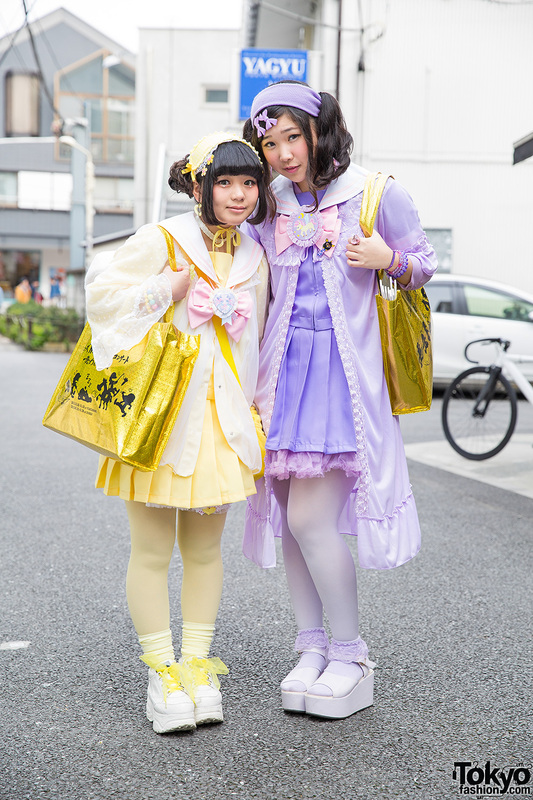 Harajuku girl with pink and green twin tails wearing a pastel dress with a harness, plush backpack and colorful sneakers vs. Harajuku girl with lilac hair in layered tops, colorful pants, black backpack and white platforms.